BLOG: Encourage Covington to #ShopSmall on Small Business Saturday! 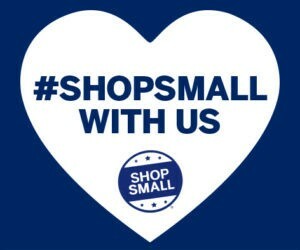 Encourage Covington to #ShopSmall on Small Business Saturday! preparation and a lot of enthusiasm, you and your business can make the most of it! independently owned small businesses by celebrating a new holiday shopping tradition. billion dollars on Small Business Saturday in 2016. Need some help getting ready? Here are a few ideas! via local media, social media, etc. appropriate hashtags in your posts (#ShopSmall #SmallBusinessSaturday). limited-time reason to visit you on Small Business Saturday. boost awareness and participation at your business. 6. When it’s done right, Small Business Saturday will drive customers to your door. door is just the start — build a meaningful connection, and those first-time customers will become long-time fans!